A reader from The Krazy Coupon Lady commented with a great deal on Stayfree pads that should work until Tuesday in the Pacific Northwest. 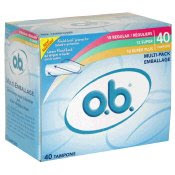 If you’re more fond of the tampon, the cats are printing for ob Tampons as well. I have not tried this deal myself as I am perpetually pregnant and/or nursing and will not need these types of products for some time. Please comment if you are able to give it a shot before Tuesday. I tried it and it worked great! I believe that is is $20 and over in the participating products, it doesn't matter how many you buy as long as you hit that $20 mark before coupons etc. Though I too seem to be perpetually pregnant or nursing I thought I would stock up for sometime in the future… 🙂 And yes it works, I actually bought 3 ob and 6 stayfree so I think it is any combo of 8!